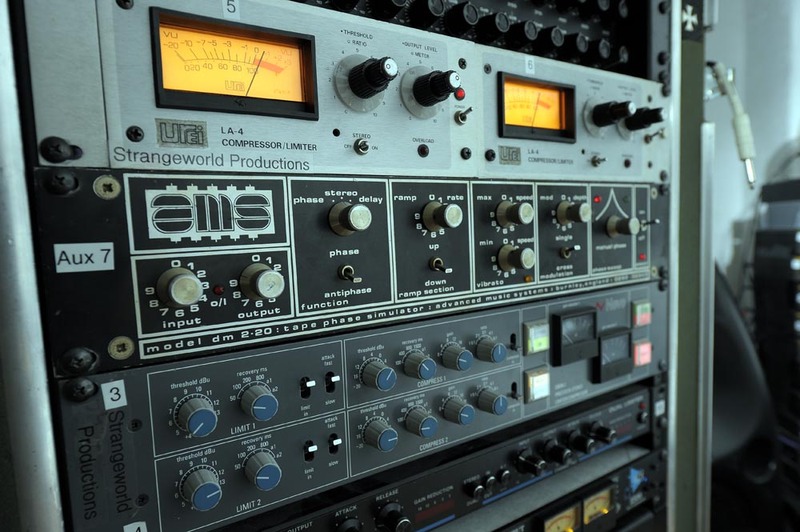 Strangeworld Studios has an extensive selection of modern, state of the art and classic vintage audio equipment, microphones and instruments operating in both the analogue and digital domains. The console is a 56 input Sony DMX R-100 with legendary Oxford EQ & Dynamics on every channel and moving fader automation. Main monitors are classic Tri-amped Genelec 1022B with KRK V8 Version 2 active nearfields. We also have a large collection of audio and instrument plugins by many of the industry standard plugin manufacturers including Arturia, Abbey Road, Native Instruments, Ivory pianos, IK Multimedia, G-Force , Antares etc for use with Protools 10 or 11 , Logic and Cubase systems with custom modified Digidesign and RME 96Khz/24bit audio interfaces using Intel based Apple OSX computers.